For the best dry bulk tank prices and the widest selection of dry bulk tank containers, African Tanks can assist you. 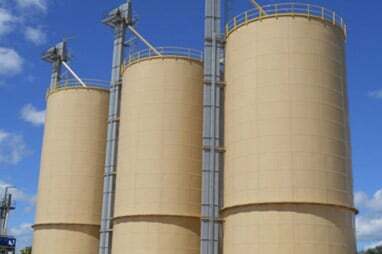 With up to 9 different types of dry bulk tanks suitable for their specific purpose, we are one of the biggest suppliers of all kinds of tanks in South Africa while we also supply tanks to the rest of the African continent. 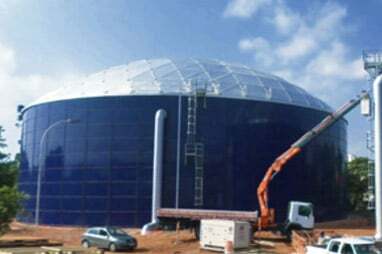 Of the tanks you can choose from, we have the biomass storage tanks, food storage tanks, plastic resin storage tanks, chemical storage tanks, AG & Meal storage tanks, power utility tanks, mineral storage tanks, flue gas desulfurization and limestone tanks and cement storage tanks. Each is designed in such a way that the contents stored will be kept in pristine condition. Our tanks won’t break the bank when you initially purchase one or when in need of repairs and they have a phenomenal resale value. They also have a fantastic, long lifespan. Tank Connection is one of the most trusted leaders in the manufacturing of dry bulk as well as liquid bulk storage systems. They produce the best tanks on the market, designed to meet the needs of each client. This company both designs and manufactures all of the tanks requested by customers, and then their distributors install them. This guarantees that clients receive exactly what they are looking for and as such their every storage need is met. Through Tank Connection, African Tanks is able to provide clients with all 4 of the major types of steel tanks which include the field-welded storage tanks, hybrid storage tanks, bolted RTP tanks (rolled, tapered panel), and the shop-welded tanks. These tanks offer the ultimate turnkey solution for clients of all kinds. Each tank has the highest quality field-welded construction and meets the API 650 and API 620 requirements in the USA. 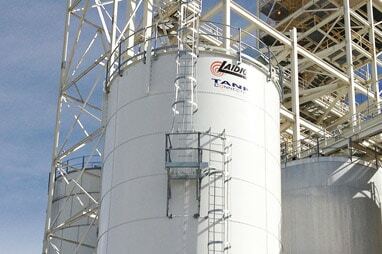 The tanks are coated using the best system for dry bulk tanks. The actual construction process is rated the best in the world. 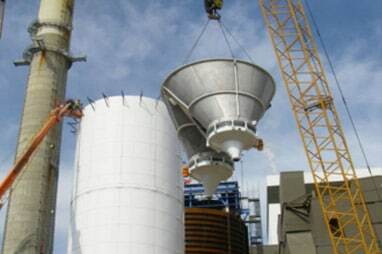 The storage tanks are jacked up using the ultimate synchronised jacking procedures. The bolted tank design is considered to be the best in the world. And finally, the dry storage tank prices are unbeatable! 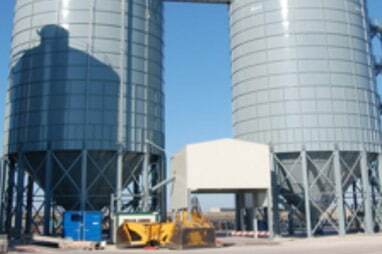 Ideal for keeping dry substances safe, these tanks are used for storing sugar, grain, wood chips, cement, plastic products, gravel, sand, various powders and corn. The bolted stainless steel tanks are particularly useful as they are both flexible and have great mobility. Not sure of the difference between the dry option and the liquid option? Let’s clear up any confusion and answer your pressing questions. 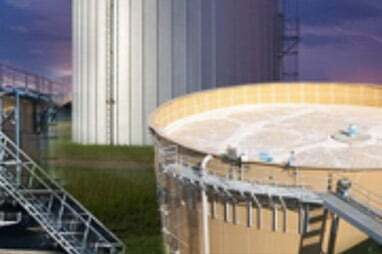 Large tanks will always be necessary for both storing and transporting dry or liquid materials. Depending on what you will be storing in the tank, you will end up choosing a tank that meets the right criteria for the materials you will be storing. As there is such a wide variety of tanks on the market, each made to hold a specific material, you’ll find that the criteria and the actual design of the tanks will differ. 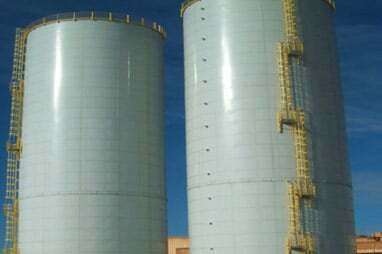 While the size, units, material corrosion, foundation, composition and standards will play a role in determining the differences between the two types of tanks, it is the design that plays the biggest role of all. They are made to be perpendicular to the ground. The roof is either fixed or floating. Tanks can be open or closed, depending on the liquid inside. They will have a flat bottom, cone bottom, dish bottom, or slope bottom. Each tank has a thick shell to prevent liquids from spilling and to prevent outside elements from entering. 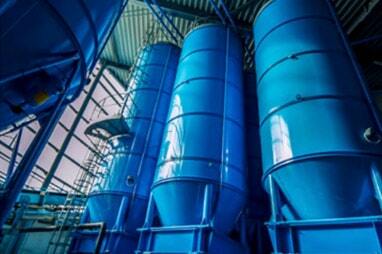 The tanks are built to meet the requirements set for maintaining the pH as well as the fluctuating temperatures. Being built in an upright position or in a horizontal position. Some are designed with a flat bottom of wood or steel, so long as the floor is capable of holding up to 2 000 000 cubic feet. The tanks are designed to be completely air tight to prevent outside elements from getting in. To find out if we have the tank that you need, you can get in touch with our professional team. 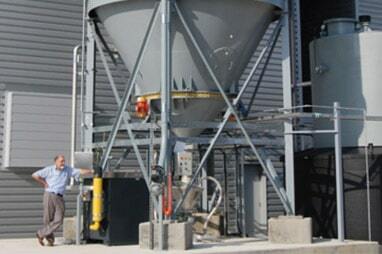 Our dry bulk tanks can be constructed on site. Let’s talk about your tank needs!